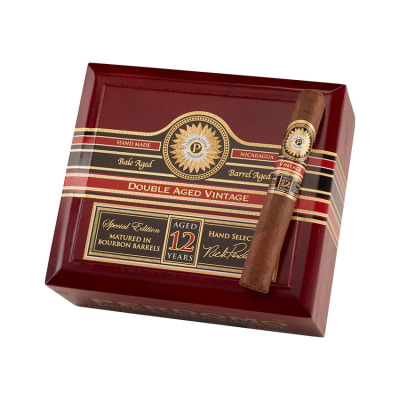 Perdomo Double Aged Vintage cigars are a blend of Perdomo's finest and most cherished 12-year-old fillers, binders, and maduro wrappers. These rare tobaccos are carefully bale aged for 10 years, then aged in charred, white oak bourbon barrels for an additional 2 years. Using this proprietary, double-aging process ensures that each leaf is imbued with the perfect color, texture, flavor, and aroma. 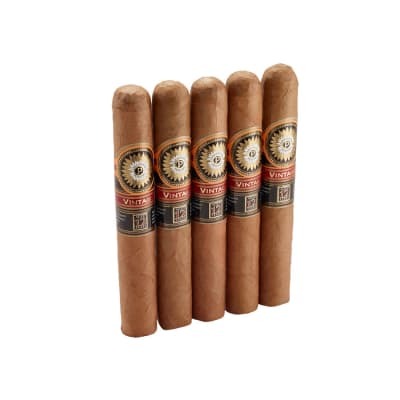 A MUST-SMOKE for Perdomo fans, add this opulent, full-flavored masterpiece to your cart NOW.